Madrid has a number of exciting, affordable neighborhoods just a short walk or metro ride from the city center. In fact, I think Madrid’s barrios alone are far more interesting than many of the major tourist attractions, as each has its own unique history and plenty to see and do. Wherever you decide to stay, make sure you explore them all! 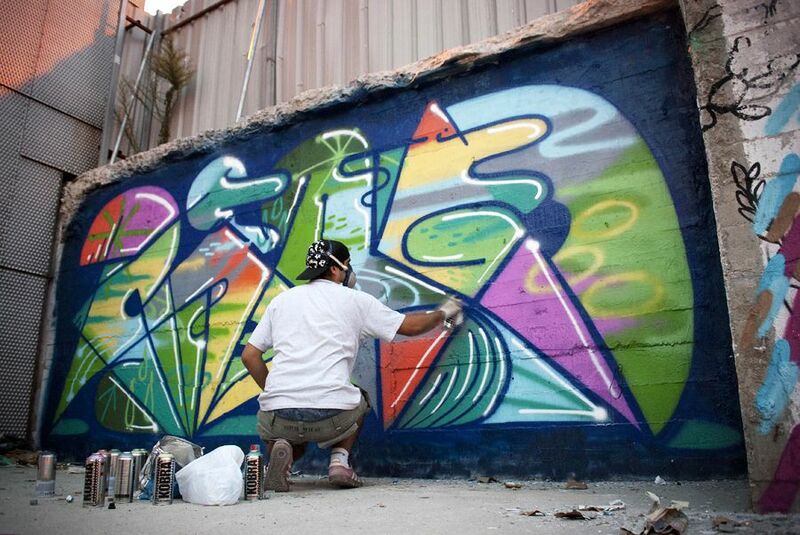 In the meantime, here are our six top choices for the coolest neighborhoods in Madrid. Sol is Madrid’s city-center and the zone most visited by tourists. It’s a crowded area filled with stores, restaurants, cinemas, and hotels. Puerta del Sol is the city’s busy main square and a popular meeting point for friends, tour groups, and events. Just north of the square is Gran Vía, the famous shopping street lined with grand old buildings and shiny new department stores. It’s a good place to stay if you want that bustling, big city feel and don’t mind the hordes of other tourists, but since it’s so easily accessible a lot of people opt to stay in one of the nearby residential areas. Best of the barrio: Puerta del Sol; Calle Preciados; Gran Vía; Mercado de San Miguel; Plaza Mayor; La Mallorquina; Chocolatería San Ginés. Barrio de Las Letras (Literary Quarter) is a historic neighborhood that was once home to many writers of the Spanish Golden Age, notably Cervantes and Lope de Vega. It’s also very central, right next to Sol and a short walk from the Art Triangle, where Madrid’s three most famous museums (the Prado, Reina Sofía, and Thyssen) are located. Plaza de Santa Ana is the neighborhood’s terrace-filled square, with famous cafes that Hemingway himself used to frequent. Calle de las Huertas is a fun spot to go out, with all types of bars and promoters who will lure you with free shots. It’s still a pretty touristy area, but less crowded than Sol. Best of the barrio: Plaza de Santa Ana; Calle de las Huertas; Paseo del Prado; Vinoteca Moratín; Café Central; Café Populart. Malasaña is one of the trendiest neighborhoods in all of Spain and probably the best place to experience Madrid’s nightlife. At night, the streets are packed and it’s common to stay out until sunrise. Typical residents are hipsters, expats, and young locals, and you’ll find some of the coolest bars, cafes, bookstores, and vintage shops. The neighborhood attracts tourists, but it’s also a residential area, so you can experience the local life while staying just a short walk from Gran Vía, Plaza de España, and other sites. Back in the 70s and 80s, it was the center of “la Movida madrileña,” an experimental movement that began after the death of Spain’s dictator, Franco, and influenced Malasaña’s artsy, alternative vibe. Best of the barrio: Calle Fuencarral; Calle del Pez; Calle del Espíritu Santo; Plaza Dos de Mayo; Plaza San Ildefonso; Tupperware; La Vía Láctea. 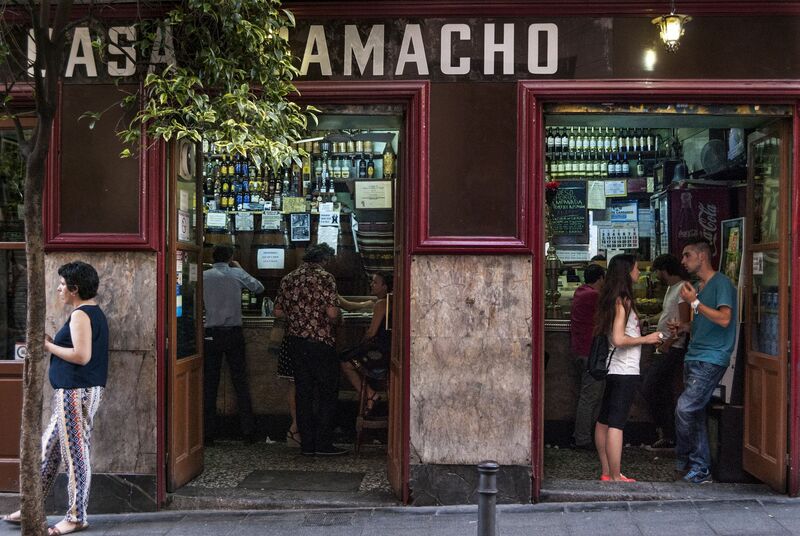 Right next door to Malasaña is Chueca, Madrid’s colorful LGBTQ neighborhood. Just as vibrant and trendy, it has great bars, restaurants, and boutiques (that tend to be on the pricier side) and, of course, plenty of gay bars and nightclubs. In late June and early July, Chueca holds one of the world’s biggest pride festivals. But the spirit of pride is felt year-round—even the Chueca metro is rainbow-painted! Best of the barrio: Calle Hortaleza; Plaza de Chueca; Mercado de San Antón; El Tigre; Taberna La Buha; Truco; Long Play. 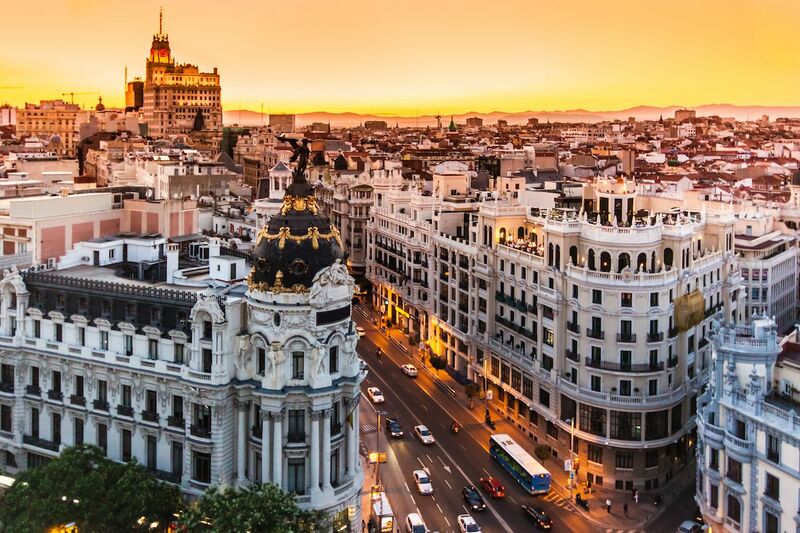 Madrid’s Latin Quarter is the city’s oldest, most traditional neighborhood. The narrow streets with staircases, cathedrals, and centuries-old plazas give it more of an “old Spain” feel than anywhere else in the city. It’s also one of the best areas to go out for drinks and tapas, and on both weekdays and weekends it’s typical to see the bar terraces packed with people sipping gin and tonics, and cañas from afternoon until late at night. You can find a range of restaurants and bars–from cheap to pricey–and the main street Cava Baja is famous for its traditional taverns, delicious tapas, and lively atmosphere. Madrid’s open-air flea market El Rastro is also held here on Sundays. Best of the barrio: Calle Cava Baja; El Rastro; Plaza de la Cebada; Mercado de la Cebada; El Viajero; Plaza Mayor. Lavapiés is also one of the most artistic zones, filled with small, independent theaters, cultural centers, and walls decorated with colorful street art. Best of the barrio: Cine Dore; Mercado De San Fernando; Calle Argumosa; La Tabacalera.